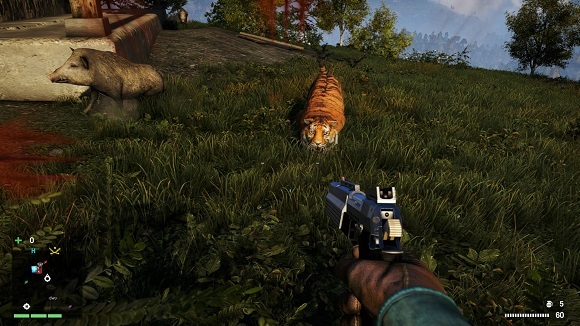 During the game, the players progressively get to know the secrets of Kyrat. Thanks to its specific situation, a fictional country offers varied and interesting locations – from the snowy mountain routes to the thick forests as well as the cities, old ruins and so on. 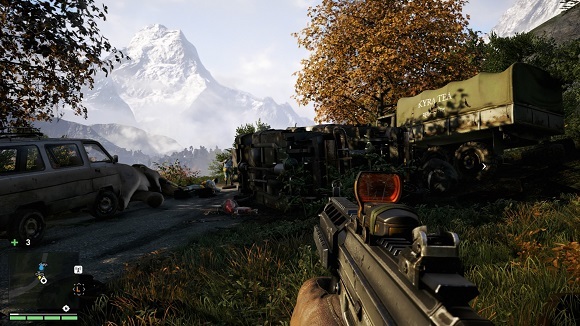 While the game, the players can move freely on the territory of the Himalayan country that is a large and open map. The players can also make a use of various means of transport. Moreover, the protagonist can take part in meditations which can move him to a fantastic land of Shangri-La. 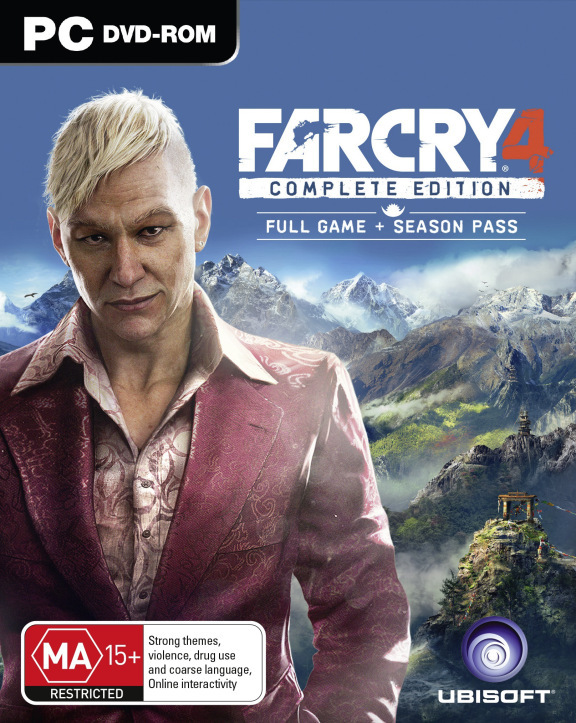 While taking part in the campaign, the players complete story missions as well as various side quests and optional tasks such as frees checkpoints, time trial or hunting wild animals. 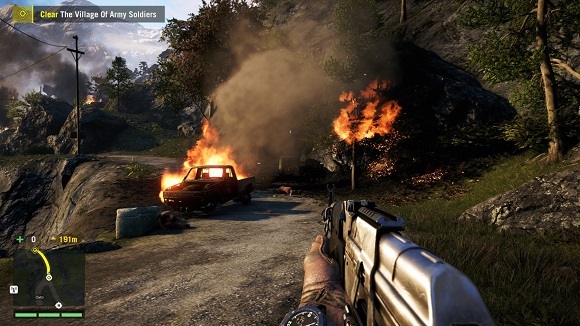 It is the FPS genre production so the players can make a use of a rich arsenal of weapons from simple pistols to heavy machine guns. There are also different types of daggers, knives and arches. 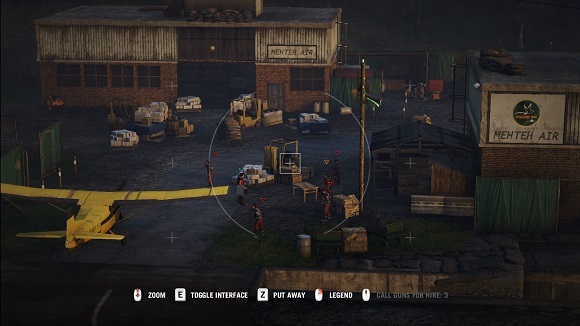 For the first time in the history of the series, there is an opportunity to use a crossbow. 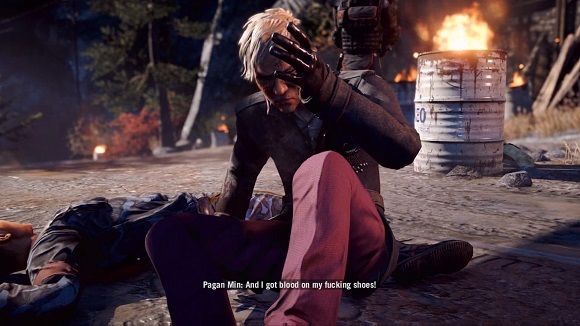 Far Cry 4’s collection of DLC adds several new weapons, missions, and game modes.